I passed quickly by the pony rides and the man selling balloons at the wrought-iron entryway, and past Lago Darwin, where pink flamingos swam. Past the dark reptilario, torpid with snakes and lizards. Past the bears and the lions and the cheetah and the ocelot. And finally, just beyond the towering condor cage, I saw her: redheaded Sandra, who, in the eyes of some humans, has become the world’s most important ape. Last year, to the delight of animal-rights advocates, a Buenos Aires judge ruled that Sandra is a “non-human person” and a “sentient being” — a bearer of legal rights. Just what that means is still a matter of dispute. But, in the meantime, the case has been hailed by activists as a milestone in civil rights — another sign that human society may be ready to expand its embrace, recognizing great apes and perhaps other species as more than just things. Standing before the glass wall of Sandra’s enclosure, I looked across an empty moat into her open-air habitat — one of those Flintstones-like rockscapes that in the 1960s began replacing barred cages in the architecture of zoos. There she was, sitting alone in the shade of an artificial cliff, hiding beneath her blanket. 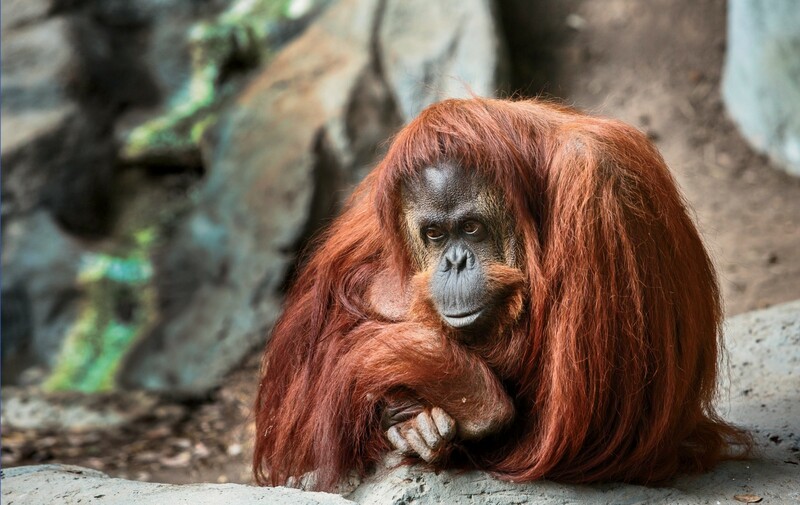 Unlike the screaming chimpanzees nearby, orangutans are quiet creatures that guard their privacy. This was an animal I could identify with. While waiting for her to show her face, I tried to decipher the educational signage. Orangutans, which live in reduced numbers in Sumatra and Borneo, are known by the natives as hombres del bosque — “men of the forest.” Threatened with extinction, their hope for survival lies in conservación and sustentable de su hábitat. The sign, like almost everything else at the zoo, was sponsored by Coca-Cola. It wasn’t until the next afternoon that I got a better look. Sandra had returned to the same spot, but now her head was sticking out from the blanket as she scrutinized the ground for insects, popping them like candy into her mouth. Then, as if remembering her part of the contract, Sandra walked back outside and climbed slowly onto a platform built to provide her with a semblance of arboreal existence. After a round of acrobatics, she returned to her corner to pick for more bugs. We hold these truths to be self-evident, that all men are created equal, that they are endowed by their Creator with certain unalienable Rights. In 1776, when the Declaration of Independence shook the world, “men” meant men, and Thomas Jefferson, the man who drafted these words, counted among his possessions hundreds of slaves. But society moved on. First came abolition and emancipation. It wasn’t until 1920 — less than a century ago — that women in the United States secured the right to vote. Now there are foreshadowings of what some see as the next logical and moral step. Feld Entertainment, whose Ringling Bros. and Barnum & Bailey Circus has been a target of animal-rights activists, recently decided to retire the last of its traveling elephants to a 200-acre conservation center the company operates in central Florida. 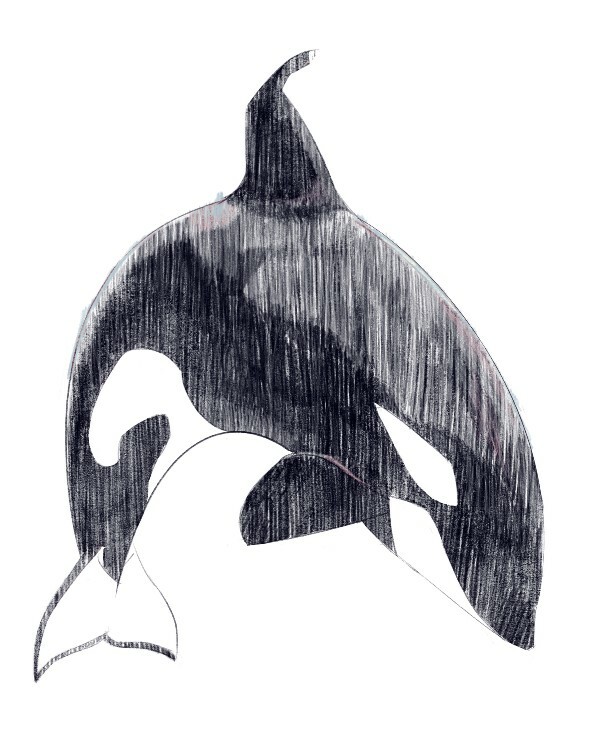 Not long after, SeaWorld ended its breeding of orcas as part of a plan to replace killer-whale shows with what the company called more “natural” encounters. But the pressure for reform has been especially intense with regard to great apes, creatures for which — or for whom — humans feel the strongest kinship. In May, when zookeepers in Cincinnati shot dead a gorilla to save a child who had fallen into its enclosure, waves of outrage were aimed at the marksman and the boy’s mother, whose negligence was treated as the equivalent of manslaughter. Bowing to sentiments like these, the National Institutes of Health began phasing out chimpanzee research in 2013. Most experiments critical to human health, an advisory panel recommended, could be performed as effectively on other animals. Last year, captive chimpanzees were added to the list of endangered species maintained by the U.S. Fish and Wildlife Service (wild ones had already been included), and Francis Collins, the NIH’s director, announced that most of the institutes’ chimps would be retired to sanctuaries — a migration that is already underway. But with Sandra the orangutan — and Cecilia, a chimpanzee in another Argentine zoo who is also under consideration by the courts as a non-human bearer of rights — the stakes are higher. No one is proposing that they be allowed to vote in an election or run for office, simply that they be recognized as thinking, feeling beings in a court of law. In the U.S., the Nonhuman Rights Project has been pursuing a similar kind of recognition for Hercules and Leo, two recently decommissioned laboratory chimps, and for Kiko and Tommy, another pair of chimps. Kiko is being kept as a pet, and Tommy’s last reported whereabouts was a zoo in northern Michigan. But with Sandra, Argentina has moved to the forefront. Animal-welfare laws have long held that we should avoid making other creatures suffer — to the extent that this doesn’t interfere unreasonably with human commerce. Many people think that strengthening these ordinances is enough. Others look to commerce for a solution. Wayne Pacelle, the president of the Humane Society, has argued that the animal-products industry, responding to pressure from consumers, has been steadily improving conditions. His new book is called The Humane Economy. But some animal-rights lawyers are skeptical that moral decisions should be left to the marketplace. They are calling on Homo sapiens, the self-declared wise ones, to go further, enlarging the definition of what counts as a person — a legal entity entitled to certain rights. Persons, as defined by the law, are not necessarily human beings. Corporations, after all, have long been considered “juridical” or “artificial” persons with some of the rights and obligations of people. They can sue and be sued and have rights to freedom of speech (as in Citizens United) and even, to a more limited extent, religious expression (as in the Hobby Lobby case). Off in another realm, legal scholars foresee a day when a judge will decide whether to grant personhood to an artificially intelligent computer program or to a chimera created in a lab by fusing human and non-human genes. So where does Sandra — and all the world’s great apes—fit into this jumble: species just a twig over from Homo sapiens on the tree of life, but without the capacity to argue on their own behalf ? It’s been more than half a century since Jane Goodall first filmed chimpanzees in Tanzania fishing for termites with sticks they had modified by stripping off the leaves — a simple example of making and using tools. Chimps have also been observed using a pair of rocks, a big one and a small one, as a hammer and anvil for cracking nuts — and even adding a third rock as a wedge to stabilize their platform. Chipped pieces of granite that archeologists suggest are chimpanzee nutcrackers have been discovered in Ivory Coast and radiocarbon dated to 4,300 years ago. Other apes show a similar aptitude for gadgetry, and orangutans seem to have devised an especially neat trick: They put sticks in their mouths, lowering the pitch of their voices and making themselves sound bigger and scarier to potential enemies. Toolmaking itself doesn’t seem like grounds for a constitutional amendment. If so, we would also have to include New Caledonian crows, which make probes and hooks from twigs and leaves for retrieving elusive grubs. Self-awareness may be a more persuasive criterion. Great apes, many primatologists argue, can recognize themselves in mirrors. They exhibit signs of altruism and grieving for the dead, and they appear to know that other creatures have desires and intentions — what psychologists call a “theory of mind.” That comes about as close as you can get to showing that another creature is a vessel of consciousness and an autonomous agent possessing something like free will. But these abilities too, in various dilutions, have been demonstrated elsewhere in the animal kingdom. Set the bar too low and you end up emulating the Jains in India, wearing masks to keep from accidentally inhaling and killing flies. What about an aptitude for counting and other crude arithmetical skills? Those have been reported in great apes — and also in parrots, newborn chicks, and lizards. There is a small body of literature claiming that ants follow Fermat’s Principle of Least Time to find the shortest path to a source of food (which is a little like arguing that planets solve differential equations as they orbit the sun). In all of these cases one must be wary of anthropomorphism. But just as perilous is what the primatologist Frans de Waal calls anthropodenial: the mystical belief that consciousness sprang into existence only with the birth of humans. The most persuasive evidence for human-like intelligence may be an ability to communicate with sounds and symbols, including hand gestures and lexigrams on a keyboard. 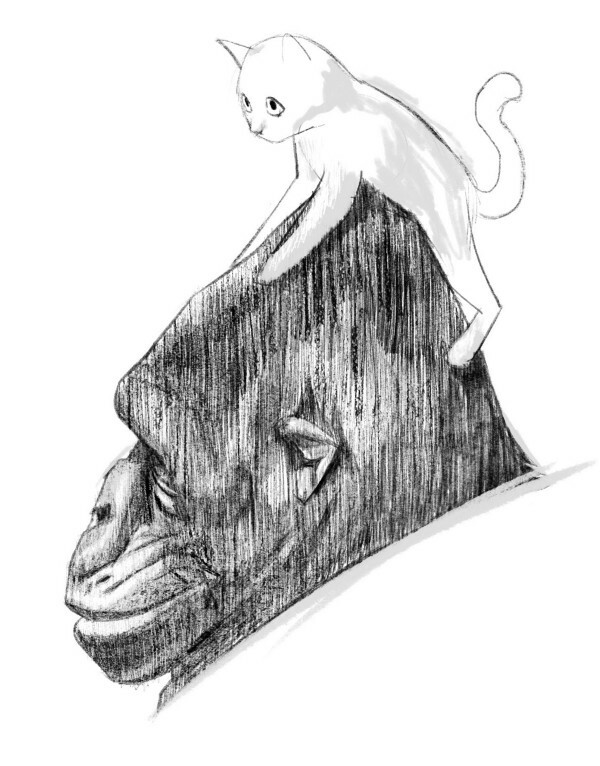 We’ve all heard about the linguistic feats of Kanzi the bonobo and Koko the gorilla. But Alex, the grey parrot trained by Irene Pepperberg, a well-known researcher in comparative psychology, also showed uncanny communication skills. All of these claims are subjective and open to dispute. Maybe genetic similarity is a better measure. Great apes, it’s commonly said, share as much as 99 percent of our DNA. (The precise number depends on how you do the counting.) But for mice the overlap is still as high as 90 percent. And there are those eerily intelligent whales, porpoises, and dolphins way off on their own limb of the evolutionary tree. The planet’s alpha apes, not Jefferson’s “Creator,” are the endowers of inalienable rights. And that’s where the politics comes in — people with conflicting values and assumptions competing to do what they think is right for the world. Late one afternoon, shortly after my visit to the zoo, I arrived at a law offce on a jammed, noisy block of downtown Buenos Aires to meet with a group of activists eager to explain, with the help of a translator, why they believe humans are not the only creatures deserving of legal rights. In my ignorance of the language, their words came in a rush — layers of Spanish colliding with English that would later take hours to sort out. I wondered if this was how Sandra feels as she huddles beneath her blanket and listens to the clash of human voices. As she prepared a gourd of mate, Malala Fontan explained how their group — called SinZoo (“Without Zoo”) — came together in 2014 after the city announced its annual Night of Museums. The zoo, along with other public institutions, would be kept open after dark for people to enjoy the exhibits. It wasn’t just the additional stress on the animals the group objected to, but the idea that they were being treated like paintings and sculptures. The group also objected to the city’s earlier decision to turn over operation of the zoo to a private subcontractor — another reminder that the animals were considered not just inmates but commodities. Aldo Giudice, a biologist who had joined the conversation, proposed that the effects of imprisonment are especially hard on intelligent creatures like great apes, which can see people coming and going without constraint. Called on to submit a friend-of-the-court brief in the Sandra case, he spent many days observing her. I described how I had seen her, the day before, putting her hand to the glass, reaching to touch the hand of a young woman. It is the wild, in Pi’s estimation, that is the prison with the constant worries about finding food or being eaten — the struggle to survive. In such a world what can be the meaning of freedom? Living in a zoo is like checking into a hotel. I was thinking of that passage as I sat in the small office of Adrián Sestelo, the Buenos Aires Zoo biologist — a man who clearly cares about Sandra and all of the animals in his charge but who is frustrated by the romantic notions society thrusts upon them. He told of a jaguar run down by a car in the northern part of the country. The body was sent to his lab so that the animal’s sperm could be cryogenically preserved and used to increase the diversity of the zoo population. Beyond firing the imaginations of children, the animals in the zoo can serve as a repository for this genetic information — DNA that can be introduced back into the wild to help ensure the survival of a species. There are reasons for keeping animals other than exhibition. “It’s not fair,” Sestelo continued. “Why not the cow, the pig, the chicken? … It is almost racist.” All species, he said, have a right to be on this planet and to live in their unique way. As our conversation drifted into the philosophical — the legacy of Descartes and A.O. Lovejoy’s The Great Chain of Being — I asked if he thinks Sandra is happy. Deep in a sub-basement of Western jurisprudence is an assumption that has rarely been questioned: that there are precisely two kinds of entities under the law, persons and things. A brain-dead human kept alive by machines holds rights not accorded to the smartest ape. Last year, Judge Elena Liberatori challenged the dichotomy, declaring that Sandra is a non-human person with fewer rights than people but more than, say, a lump of clay. The case began in November 2014 when a group called AFADA (the Spanish acronym for the Association of Officials and Lawyers for Animal Rights) petitioned a Buenos Aires court for a writ of habeas corpus. Invoked by criminal defense lawyers on behalf of their clients, habeas corpus is a demand that a prisoner be brought before a tribunal to determine whether his or her confinement is justified. The maneuver, which dates from medieval times, has been adopted as a tactic by animal-rights advocates. A judge ordering habeas corpus for an ape would be implicitly recognizing the animal’s personhood. To no one’s surprise, the petition for Sandra was quickly dismissed — and dismissed again on appeal. But then a federal appeals court took a more ambiguous stance. The three judges, Alejandro Slokar, Ángela Ledesma, and Pedro David, also declined habeas corpus, remanding the case to a lower court to decide whether animal cruelty had been committed. But in their order the judges referred, in passing, to Sandra as a non-human holder of rights. Seizing on those words, AFADA led a new case — this one in a Buenos Aires court where citizens can seek redress against the government. And so it fell to Liberatori to consider the simian’s fate. “The slum judge,” the caption called her. The reference was to an incident in which she ordered the city government to extend services to one of Buenos Aires’ shantytowns. She was also the first judge in Argentina to rule that a marriage ceremony between two women could take place. (And the second to do so for two men.) When the Sandra case came to her in March 2015, she was prepared to make more waves. Working with a young anthropologist, Lucia Guaimas, she solicited advice from orangutan experts in Argentina, the U.S., and Australia. She also dug into the literature of animal-rights law, including a book, La Pachamama y el Humano (Mother Earth and Humans), by Eugenio Raúl Zaffaroni, a former justice of the Argentine Supreme Court who is now a member of the Inter-American Court of Human Rights. I asked if he was an influence on her thinking. “Totalmente,” she said. Marshaling reasons why it may not be so crazy to consider Sandra a “non-human person” and “rights- bearing subject” (like you, me, and Monsanto), Liberatori draws on a wide range of sources. Recently, a revision of France’s Napoleonic code (as influential on Argentina’s civil code as English common law is for the U.S.) added “sentient beings” as a legal category, a move already taken by some other countries. And the constitution of Ecuador, she noted with a nod to Zaffaroni, recognizes nature itself as a bearer of rights. Looking closer to home, the judge considered instances in which the Argentine legal system already appeared to look upon other creatures as subjects rather than objects. A federal anti-cruelty law refers to animals as “victims,” suggesting a right to be treated with dignity and respect. When sniffer dogs used by federal customs agents reach retirement, she noted, the state provides them with housing, health care, and food — something you wouldn’t do for a surplus truck. For the plaintiffs, it was a landmark moment. “There has never been a decision of this magnitude,” said Andrés Gil Domínguez, AFADA’s lawyer. “It was historic, a turning point in animal rights.” Not long afterward the case was cited by another Buenos Aires court, which ruled that 68 mistreated dogs were, like Sandra, rights-bearing subjects. More decisions like this are bound to follow. Maybe one will go as far as granting habeas corpus. As expected, the city appealed — as did AFADA, which was disappointed that the judge stopped short of deciding Sandra’s fate, deferring instead to an expert panel. In June, eight months after Liberatori’s decision, the Court of Appeals of the City of Buenos Aires handed down its ruling. The judges agreed that there was no need for the advisory panel. Moreover, they upheld Liberatori’s demand that the city provide Sandra with more-stimulating surroundings, taking into account her “well-being, behavioral complexity, and emotional states.” Later, if it seemed in the ape’s best interest, the zoo could send her to a sanctuary. Later that month, animal-rights advocates claimed another victory. 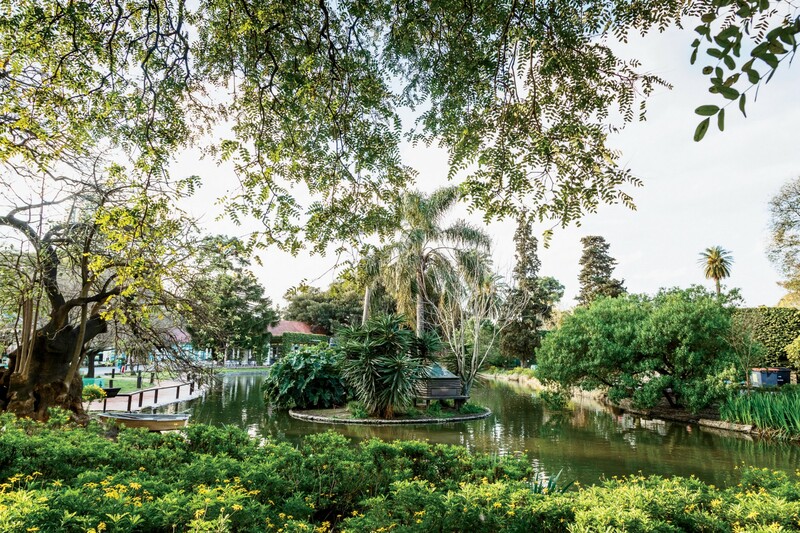 Declaring that the zoo “generates more sadness than happiness,” the mayor of Buenos Aires announced that the city was closing the gates and accelerating plans to create an ecoparque, much along the lines Adrián Sestelo, the zoo biologist, had described to me. Most of the 2,500 animals will gradually be moved to nature reserves, while those too old or infirm will be cared for onsite but no longer displayed to the public. Sandra would remain, at least for the time being, wondering perhaps where all the people went. Before flying to Buenos Aires, I had downloaded the original Planet of the Apes to watch on the plane. I’d forgotten that the orangutans in the story are actually bad guys — evil scientists and upholders of orthodoxy who happily perform brain-ablation experiments on dumb humans. The gorillas are even worse, while the heroes are the chimpanzees, Zira and Cornelius—upholders of non-simian personhood and human rights. Six hundred miles across the Argentine pampas, in Mendoza, a court is considering the fate of a chimpanzee named Cecilia — the target of another habeas corpus suit by AFADA. She was a most unusual choice for the position. A former Fulbright Scholar working in sustainable development, Caram had been collaborating with environmental organizations pushing to reform the zoo. Hired last fall by a newly elected provincial government, she is trying to clean up the place and eventually turn it into an ecopark like the one now underway in Buenos Aires. She must deal, in the meantime, with the matter of Cecilia, who became a poster chimp for activists after an incident in 2014. A pack of wild dogs had charged through the grounds and killed 27 rheas, a vicuña, four guanacos, and two llamas. During the rampage, one of Cecilia’s companions, a chimpanzee named Charly, died of a heart attack, and, six months later, another chimp, Xuxa, succumbed to what were said to be natural causes. With Charly and Xuxa gone, Cecilia, the youngest, was left on her own in a concrete habitat, with no vegetation or natural ground to walk on — “one of the most horrible enclosures in the zoo,” Caram said. She hopes the court rules in favor of recognizing Cecilia as a non-human person. In the meantime, discussions are under way about moving her to a sanctuary in Sorocaba, Brazil. Farther along the path was the worst cage of all, packed with more than 100 frantic baboons. “No birth control,” Caram said. Two weeks earlier some of them had escaped, and one injured a girl. We ended with a visit to Cecilia and one of her keepers, Daniel Garrido — a third-generation zoo employee who has cared for the chimpanzee since she was born. He was worried about how she would fare at a sanctuary with strange new chimps. When Charly and Xuxa were alive, he said, they would gang up on her. Though she was depressed temporarily by their absence, he has since seen her thrive. Animals, like people, are individuals. Maybe she prefers being on her own. You could tell he would miss her. As the campaign for non-human personhood presses on, hundreds of chimpanzees in the U.S. are being retired from medical research and moved to primate sanctuaries like Save the Chimps in Fort Pierce, Florida. Carved out of old citrus groves, this simian paradise has grown to include 12 man-made islands and 250 chimpanzees. Each island is connected by a land bridge to a building on the mainland where the chimps are fed and receive veterinary care. If they choose, they can spend the night inside. They are still things under the law. But they are allowed to live beyond the gaze of the public, and with some of the autonomy that seems appropriate for sentient beings. One of the first to arrive was Cheetah, who boarded a trailer in Alamogordo, New Mexico, five years ago to join what became known as the Great Chimpanzee Migration. Leaving behind a biomedical lab called the Coulston Foundation, he and nine companions, each with a window seat, began the two-day journey to Florida. As we toured the grounds in a golf cart, she pointed across a lagoon to Air Force Island, where the sanctuary’s first residents, retired from the U.S. space program, arrived in 1997. Stopping across from Alice’s Island (named for one of its inhabitants), she introduced me to Cheetah. Reaching through the mesh with a piece of rubber hose (a “tickle stick”), he tried to untie my shoelace while his friend Timmy competed for attention. Nearby, a group of chimps played with torn colored paper left over from a “Chimpmas” party. At the outbuildings across from another island, Jocelyn Bezner, the sanctuary veterinarian, told me about Bobby. “He was definitely the most traumatic,” she said. When she first saw him back at Coulston, living in a place his rescuers called the Dungeon, his left arm was like a chewed piece of meat. “Every day he would scream and bite a chunk out of it,” she said. Somehow his nerve fibers had become damaged and were sending spurious signals to his brain. Several surgeries later, his suffering was relieved and he was introduced into a group of other chimps. He rose to become leader of what is now Bobby’s Island. He was like Gandhi, Bezner said, breaking up fights between other chimps. Later, when another male challenged him as alpha, he gracefully stepped aside. Before the day was over I saw Clay, taken from his mother hours after birth and used to test the toxicity of ibuprofen and other pharmaceuticals. And there was Rebel, born at Coulston and then rented to a lab at the National Institutes of Health. And I met Lisa Marie, the newest resident, who had just turned nine. She had been rescued from the entertainment industry — she’d been owned by an Elvis impersonator who used her in animal shows. Still afraid to venture onto her new island home, she was living ashore and slowly being initiated into chimpanzee society. When a chimp named Christopher intimidated Lisa Marie, Bezner brought in two others whom she knew Christopher would defer to. I was struck by how the chimps — they all looked the same to me — were treated as individuals. Through trial and error, the right family would be found for Lisa Marie. I wished that Daniel Garrido, the zookeeper in Mendoza, could see this. It might help relieve his worries about Cecilia’s going away. After leaving Fort Pierce I drove inland past Yeehaw Junction and signs advertising “P-Nuts and Gator Jerky” to Wauchula, where a Family Dollar sat next to a Dollar General and across the street from a Dollar Tree — products of our superior human intellect. A few miles outside of town I found the Center for Great Apes, the only sanctuary in North America licensed to keep orangutans as well as chimps. Shaded by a canopy of dense forest, the center is home to 30 chimps and 15 orangutans living in a dozen spacious enclosures, each about three stories high and connected by a mile and a half of elevated chutes. Taken from their mothers as infants, most of the apes worked in Hollywood or in roadside zoos, or were kept as pets. Once they became too willful, their owners didn’t want them anymore. “At two years old they’re stronger than we are,” Patti Ragan, the founder and director of the center, told me. She started the sanctuary 23 years ago, when she was trying to find homes for an infant orangutan and chimpanzee who were being kept at a Miami tourist attraction. At around age five, young apes begin to have tantrums, she said, and after seven or eight years they’ve passed their “shelf life.” But they are still youngsters at that point, with as many as 40 more years to go. As we walked past the domed structures, Ragan introduced me to some of the residents. There was Mowgli, a chimp who was in The Shaggy Dog with Tim Allen; Jonah, who appeared in the 2001 remake of Planet of the Apes; and Ripley, who was on Seinfeld. The most famous resident, Bubbles, once belonged to Michael Jackson. By now the alpha chimps had worked themselves into a frenzy, screaming and banging — the familiar bedlam of chimp life. (It’s a madhouse! It’s a madhouse!) It was a relief to move on to what Ragan calls the Zen area, where the orangutans seemed as peaceful and contemplative as their cousin Sandra in Buenos Aires. Long before her arrival, Mari’s arms had to be amputated. She had been mauled in a moment of panic by her mother. But that hasn’t stopped her. She climbs ladders with her chin and feet and navigates the walkways with her partner Pongo. She never would have survived in the wild. I met Bam Bam, who played Nurse Precious in a soap opera called Passions. Nearby was his partner Tango, who was used in television commercials for powdered orange juice. 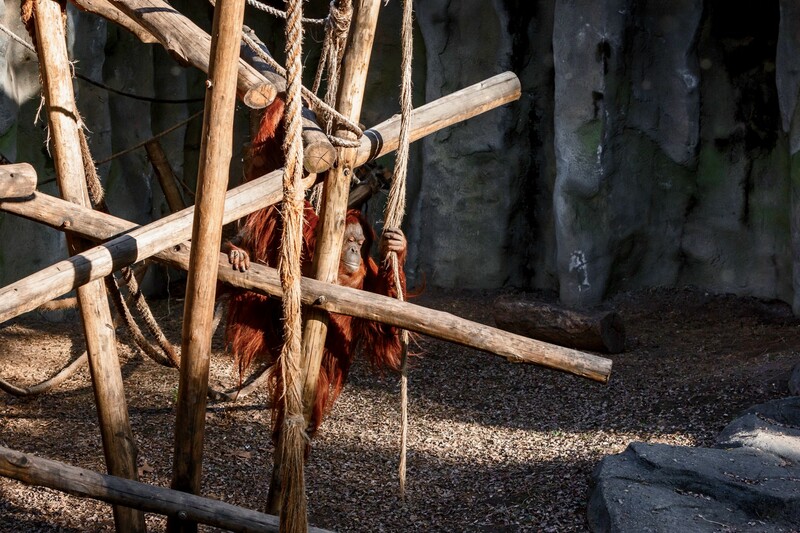 “And this is Popi, my oldest orangutan,” Ragan said. She would soon turn 45. Popi was born at the Yerkes National Primate Research Center in Atlanta and then sold to a circus trainer, who hired her out for two Clint Eastwood movies and used her in a nightclub act at the Stardust in Las Vegas. Compared with these other apes’ past lives, Sandra’s situation didn’t seem so grim, but I imagined her thriving in this place and finding the orangutan equivalent of a friend. “We’re willing to take her,” Ragan said. Early on she was contacted by both AFADA and the Buenos Aires Zoo and began investigating the possibilities. But so far the red tape involved — import regulations, federal quarantine requirements — has proved insurmountable. During the last two years, Steven Wise, the founder of the Nonhuman Rights Project, has been dealt one setback after another by New York state courts in his attempt to win habeas corpus for the four chimpanzees he has chosen to represent. And so he keeps filing and filing. Lately he has been preparing for a new case involving elephants. With cases in the works nationwide and in 10 countries, Wise keeps hoping for a decision that will pierce the barrier between person and thing. His ultimate goal — one that some colleagues consider quixotic — is a victory in the U.S. Supreme Court. Among his inspirations is a landmark ruling in 1772 in which Lord Mansfield, a renowned London jurist, was persuaded to grant habeas corpus to James Somerset, a slave who was being held prisoner on a ship bound for a sugar plantation in Jamaica. Wise wrote a book about the case, Though the Heavens May Fall, in which he imagines Somerset as he runs joyfully through the streets to thank Granville Sharp, the abolitionist who had worked to free him, hastening the end of slavery in Great Britain. If Wise someday succeeds on behalf of his non-human clients, they won’t run through the streets in celebration. They won’t even know what has happened or what it means to have legal rights. And that is what makes this notion of non-human personhood so hard to wrap one’s mind around. Don’t you have to know you are a person? Granting the status to corporations is strange enough, but at least the humans on the board of directors are capable of understanding the nature of their company’s meta-rights. Sanctuaries like the ones in Florida are demonstrating that great apes can be treated with dignity — without bestowing them with some subset of human rights. But these are the lucky ones, and their partial liberation came only after the labs and Hollywood studios were done with them. AFADA and the Nonhuman Rights Project make a powerful point: Animal welfare laws and ordinances, which have been on the books for centuries, haven’t been enough. It may only be when animals are recognized as rights-bearing subjects that their advocates will have the leverage to push for greater protections. If we the people choose to take that route, it probably makes sense to start with our closest cousins, the great apes. We can tolerate the nepotism. Maybe whales and dolphins will follow. These new rights could be construed to allow the use of great apes in research that is genuinely crucial to human welfare. But in each instance the tradeoffs would have to be carefully considered — with the subjects treated as subjects, not objects, and with the assumption that they are aware, at least vaguely, of what is going on. And so it goes with these apes. After all of our legalizing and romanticizing and foraging for words, we can’t really know what’s going on behind those eyes. What we do know is that we, with the accidentally bigger brains, are the ones who got them into this mess. Maybe we can get them out.